Hearts to the Rescue: "URGENT!! SHADOW REALLY NEEDS OUT!! Still needs rescue or adopter. "URGENT!! SHADOW REALLY NEEDS OUT!! Still needs rescue or adopter. 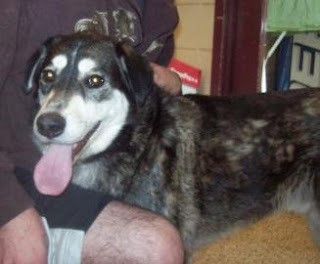 Please help Shadow find a home. He's been in the shelter too long. call them at 816-325-7207 or 816-325-7211. You can also email kimtou@yahoo.com and kimtou44@gmail.com if you are not local and assistance is needed to get any of them out. Please help this baby. He's wanting a home sooo badly. He'd be such a good boy! Call the numbers listed in the post and please share!!! BEAUTIFUL LITTLE GEORGIA GIRL PUPPY -- RESCUED! !